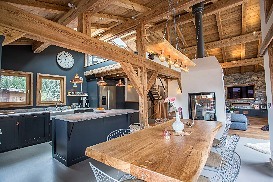 The centre of the chalet is a huge 80 sqm open plan first floor living and dining space arranged around a stunning two way view log fire. On the ground floor are three bedrooms with two bathrooms and the living room and kitchen for a self-contained apartment. 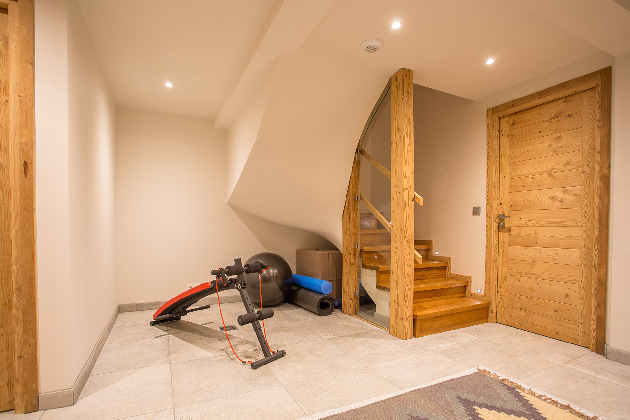 The basement has 2 more bedrooms and 2 more bathrooms and a sauna and gym area. 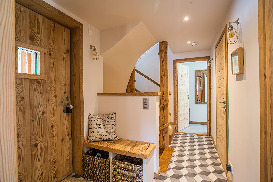 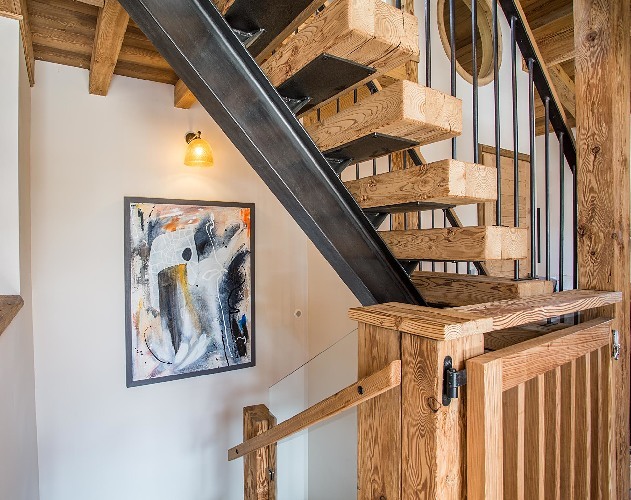 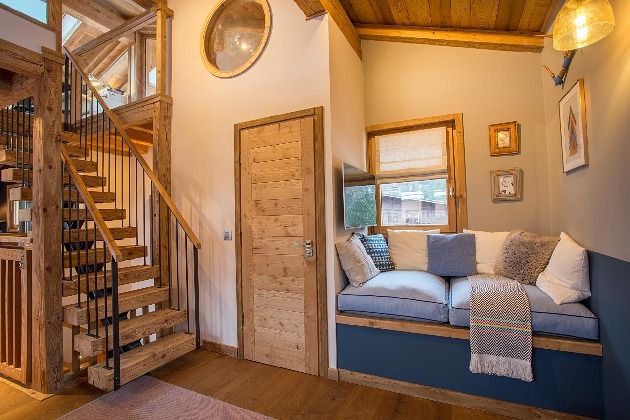 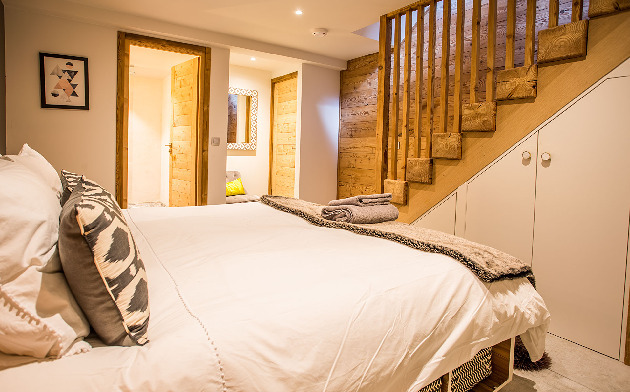 One of the bedrooms can be accessed directly via a separate staircase inside the apartment or via an internal doorway into the main chalet. 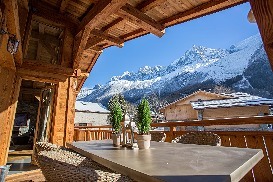 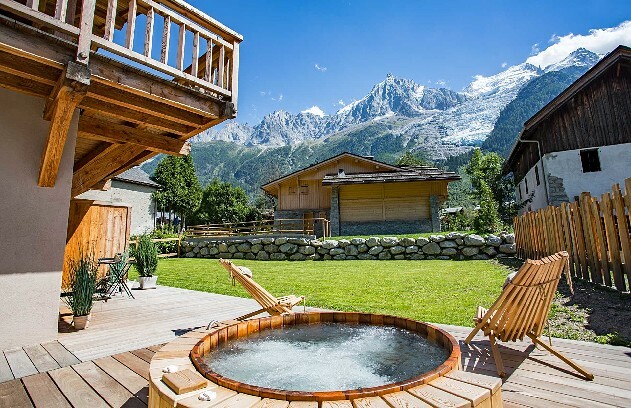 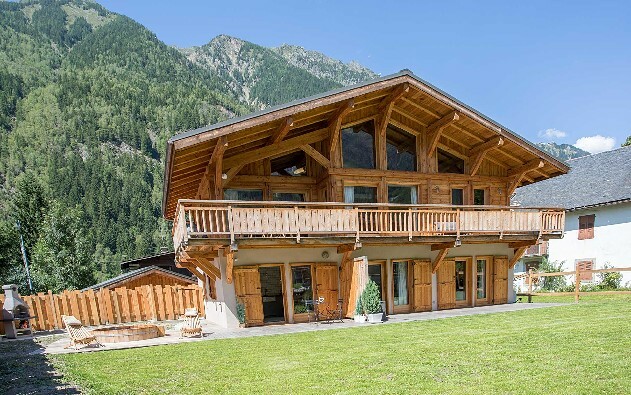 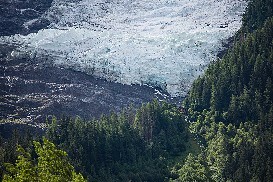 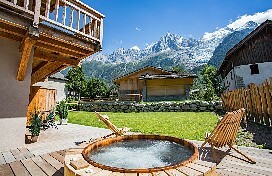 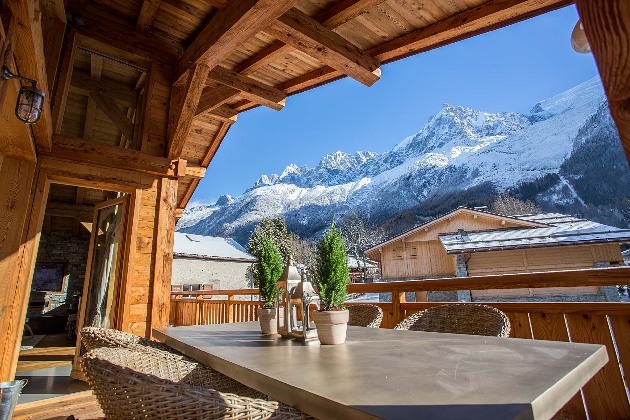 The large rear garden features extensive decking with a red cedar hot tub sunk into the deck offering incredible views of the Bossons Glacier and Aiguille du Midi. There is off street private parking for up 5 car and a fast charge electric car point. 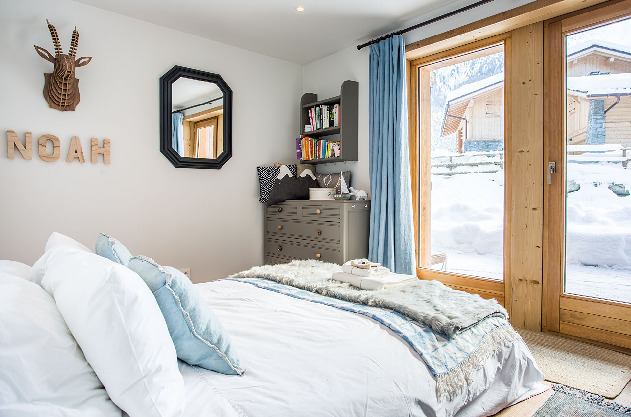 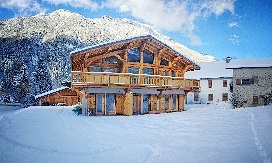 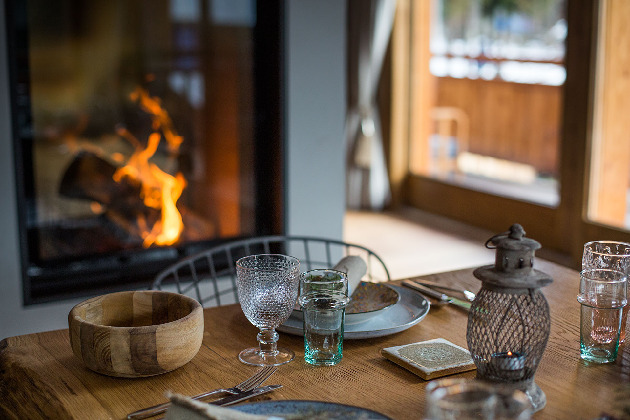 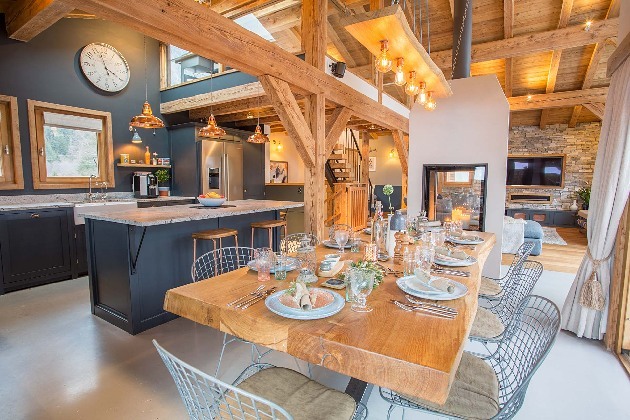 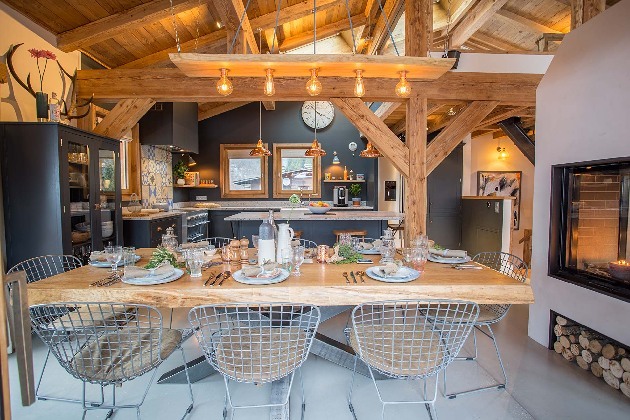 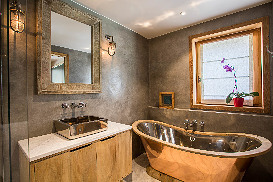 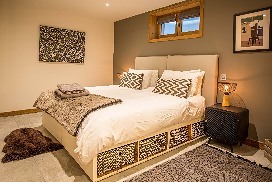 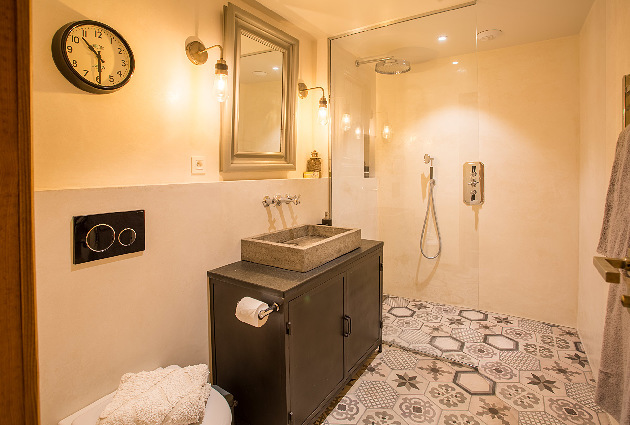 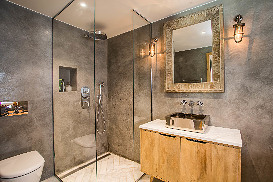 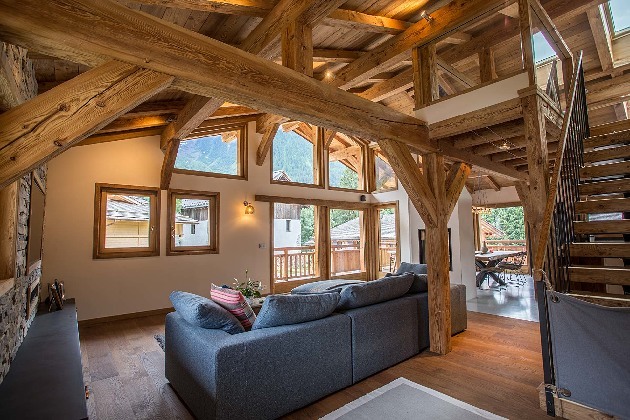 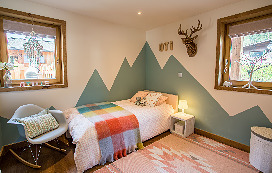 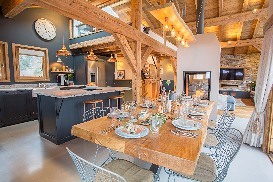 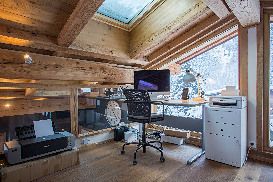 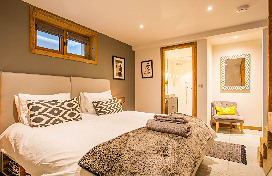 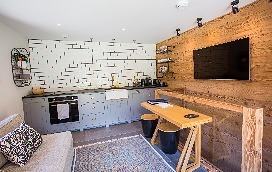 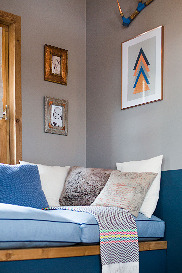 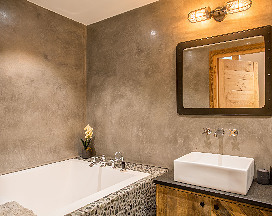 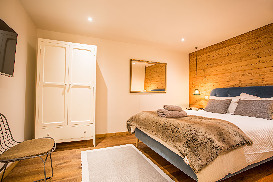 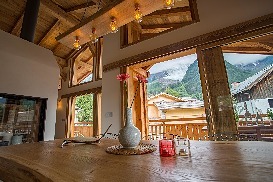 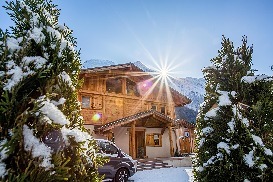 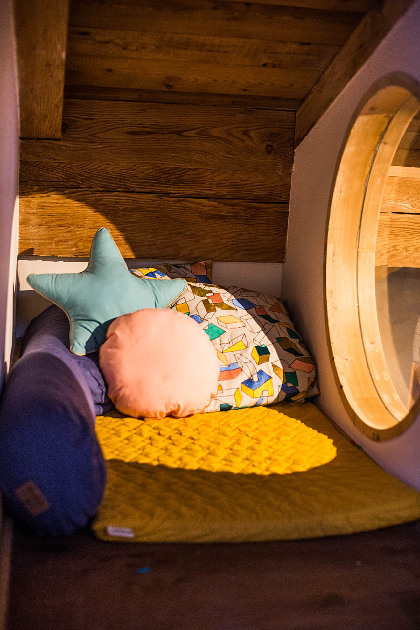 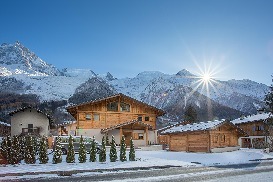 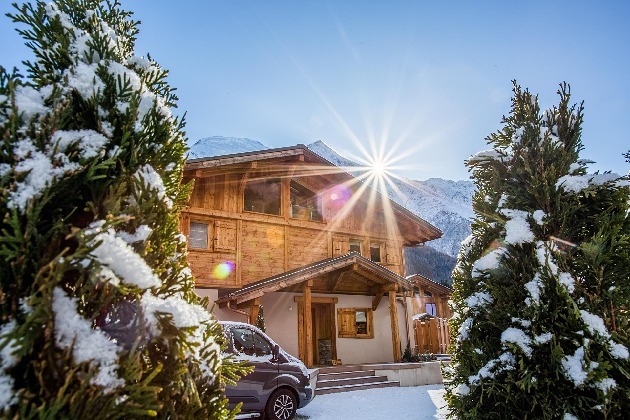 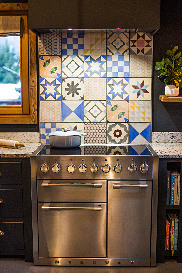 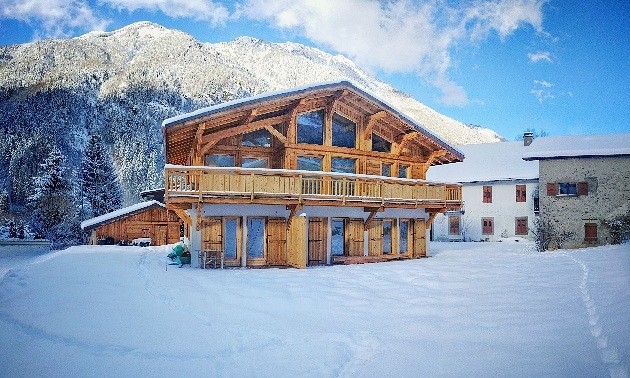 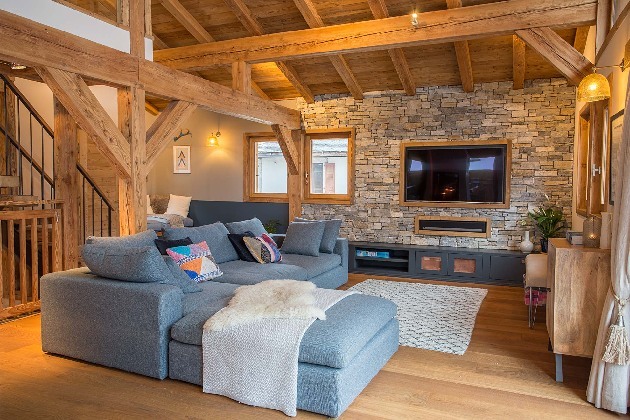 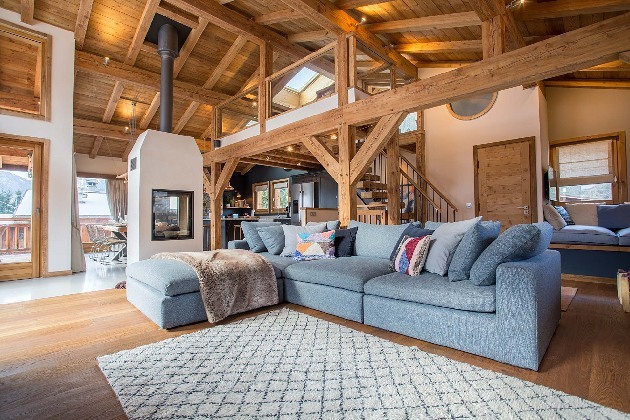 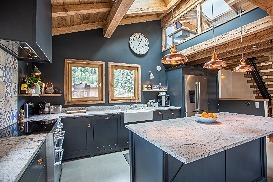 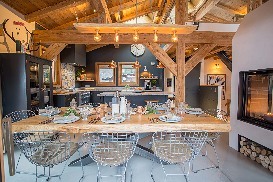 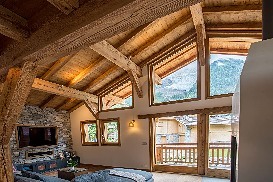 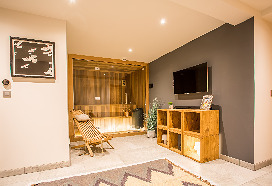 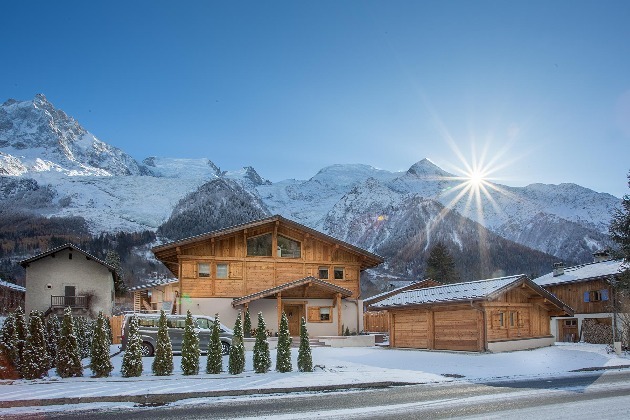 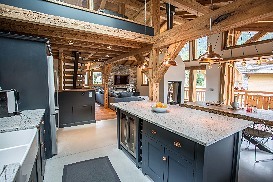 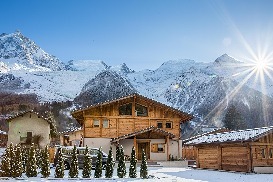 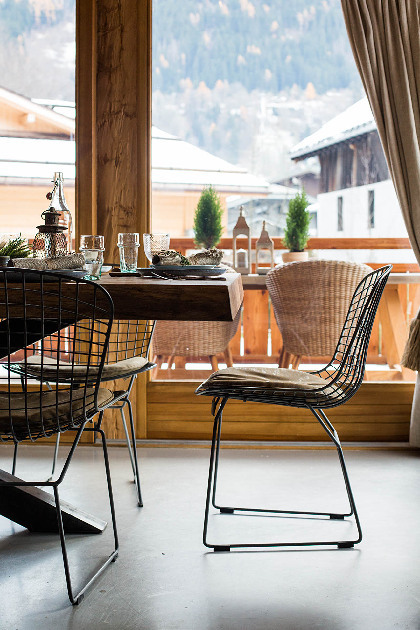 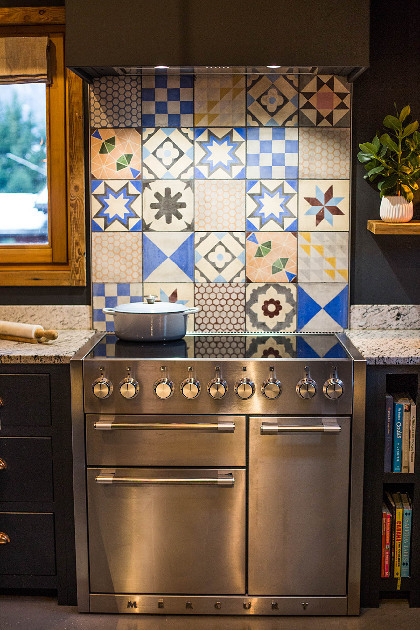 The chalet is incredibly well featured with smart controlled underfloor heating throughout and a state of art ventilation system to maintain fresh air and constant temperatures throughout. 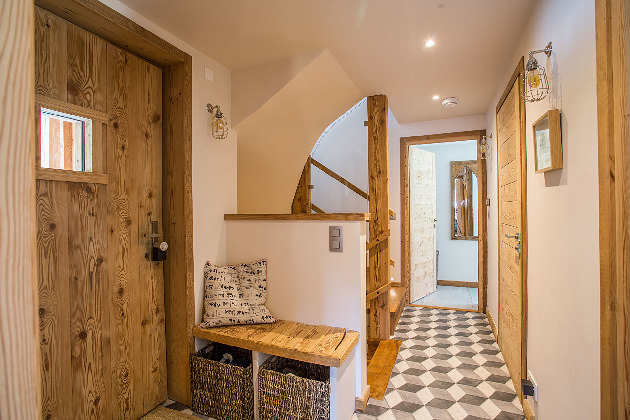 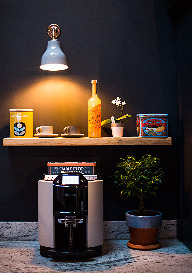 There is wi-fi internet access throughout the house and even the garden and ethernet ports in all the rooms. 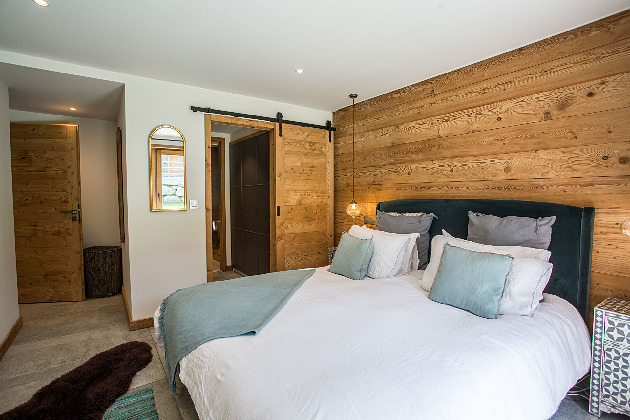 TV's in the main room and bedrooms can all receive both English and French channels and are also equipped with Netflix and access to a locally stored movie library. 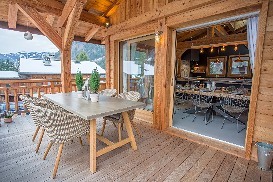 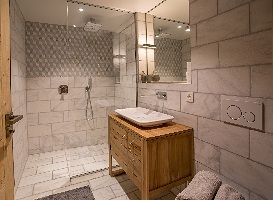 Click for Prices and Availability for Chalet Hepatica now. 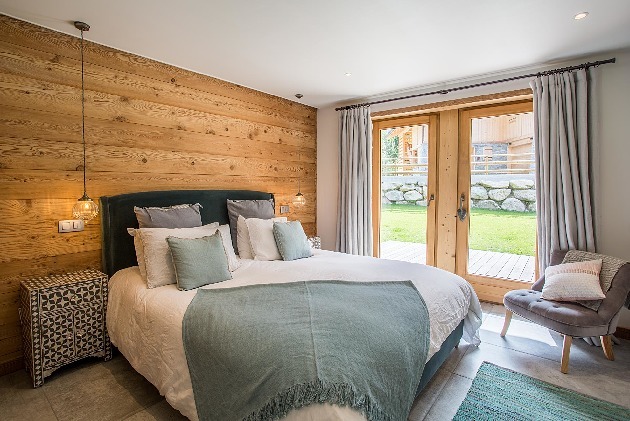 We are flexible with arrival and departure dates for any booking of 7 or more nights between the 22nd December and 7th January.